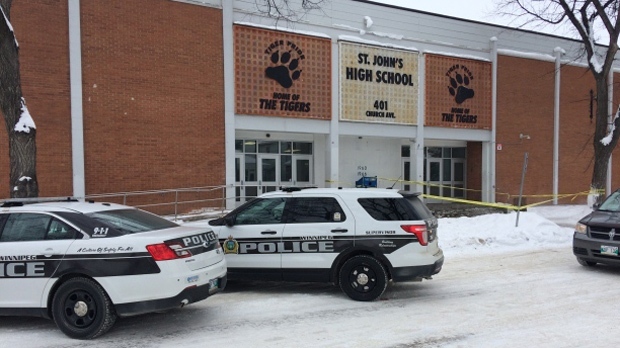 Two male teenagers were transported to hospital in stable condition after a reported assault at St. John’s High School on Monday. According to the Winnipeg School Division, three students were involved in the altercation; two of them were injured and taken to hospital. Winnipeg Police say they responded to the incident around 2:30 p.m., by the time they arrived the suspects had fled the scene. The school was temporarily placed in a ‘hold and secure’ mode that was lifted just after 3 p.m..
Police continue to investigate this incident.